Mi Hyang Lee of South Korea shot a six-under-par 66 in fine and breezy conditions to win the Aberdeen Asset Management Ladies Scottish Open by a stroke from Australian Karrie Webb and compatriot Mi Jung Hur on a dramatic final day at Dundonald Links in North Ayrshire. “I bent down, picked my tee up — thought I hit a perfect drive there. When I stood up, I went to tell Johnny that I absolutely knotted my 3-wood exactly how I wanted and he said it kicked into the bunker. I have no idea how it did that,” she said afterwards. South Korean pair Sun Young Yoo and Sei Young Kim tied for sixth place, with Australia’s Minjee Lee a stroke further back in eighth place. “I think overall it was pretty tough conditions. So I think I finished on a good result going into next week. So yeah, just getting used to the conditions and adjusting,” said Lee. Su Oh finished in equal 31st place on 5-over while Sarah-Jane Smith finsihed well back in the field at 12-over and in a tie for 63rd. 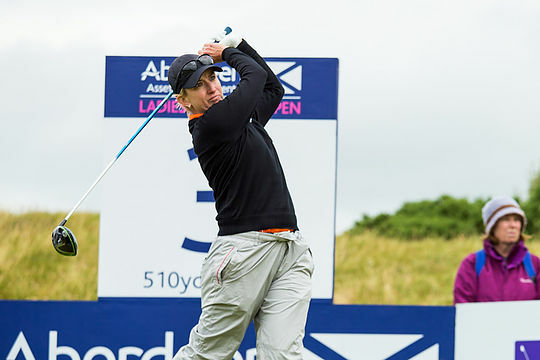 The LET and LPGA remain in Scotland and now head to Kingsbarns Links for the €3,000,000 Ricoh Women’s British Open.